REFLECTED SKY IN TAILINGS POND #2. Alberta Tar Sands, Northern Alberta,| 2010. 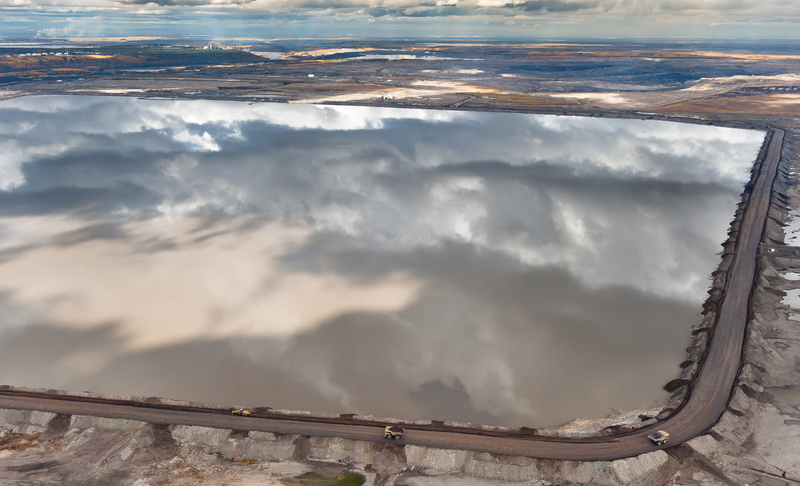 Disguised by the beauty of a reflection, these toxic tailings ponds are a considerable health risk. These vast toxic lakes are completely unlined and nineteen of them lie on either side of the Athabasca River. Individual ponds can range in size up to 8,850 acres. Nikon D3, Nikkor 24-70 f2.8. Iso 800, at 36mm, 1/2500 at f4. Alberta Tar Sands, Northern Alberta, Canada.